Day 61. 29th August. 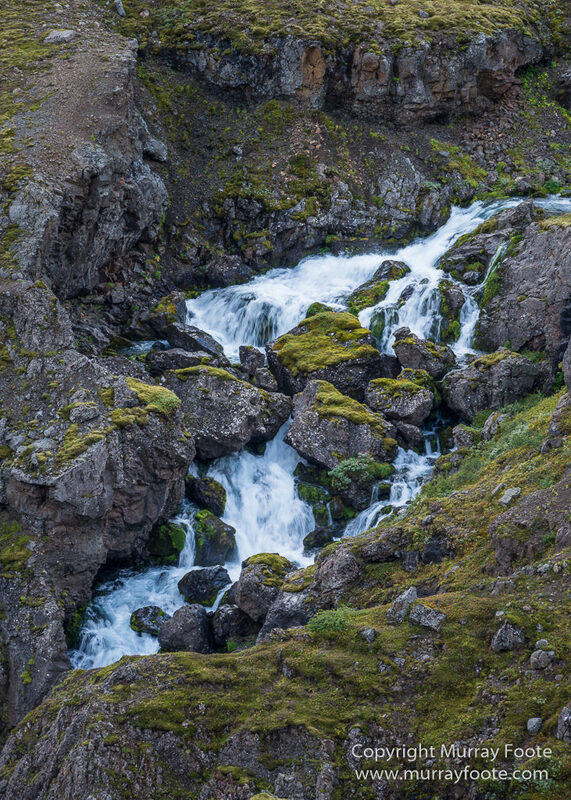 Bakkagerði, Gufufoss, Seyðisfjörður(? 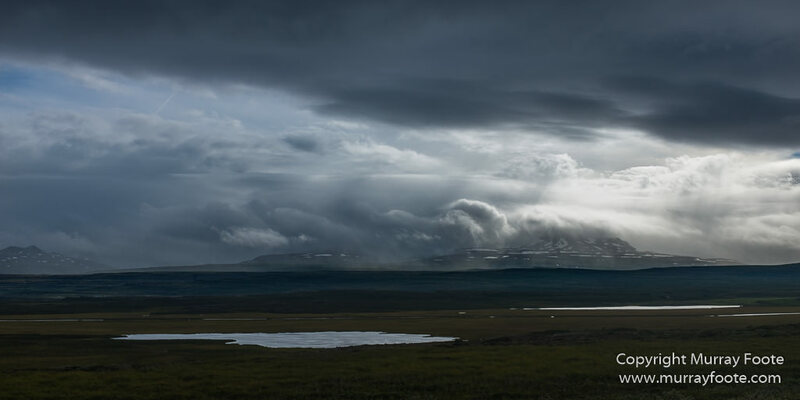 ), Reyðarfjörður , East Iceland. 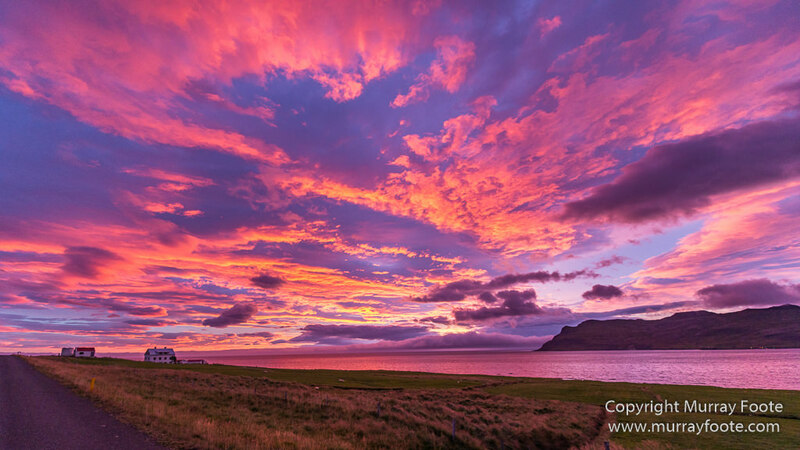 I woke up before the dawn in Bakkagerði and walked down to the shoreline to photograph the rising of the sun. After dawn, I returned to the small town, found the mechanic and he changed the wheel on the campervan. This is a very isolated place and he only accepted cash. 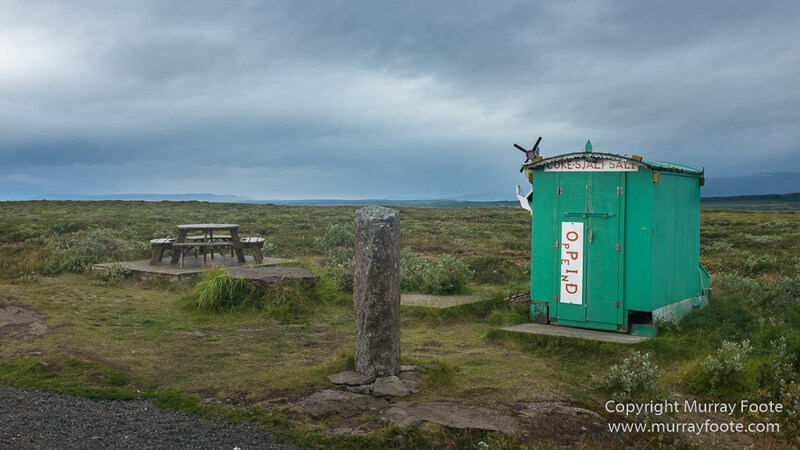 It was the only situation I encountered in Iceland where I had to pay money and was not able to use a credit card. 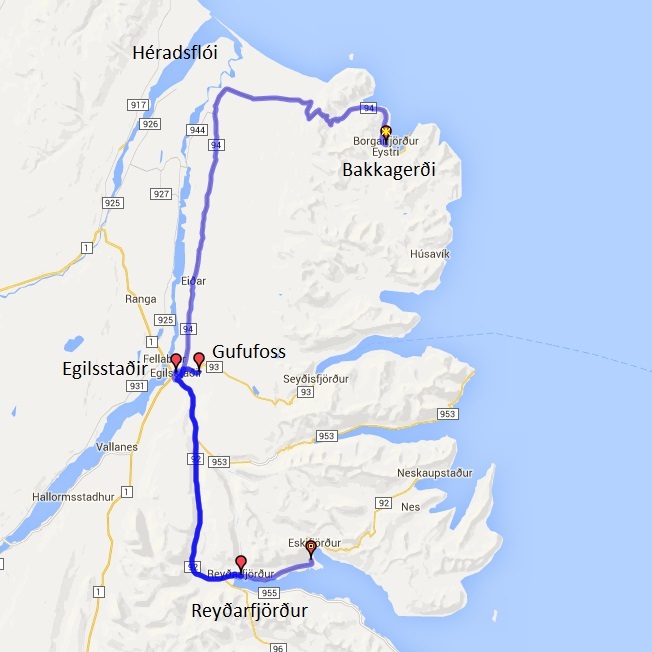 The day’s travel from Bakkagerði (and Borgarfjörður Eystri) past the plains of Héradsflói to Gufufoss and Reyðarfjörður. The house Linderbakki belongs to Elísabet Sveinsdóttir. 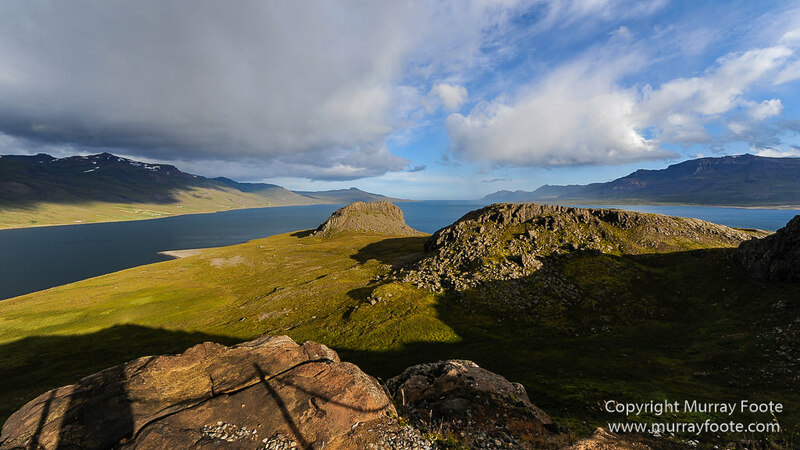 During the winter she lives in her house in Kópavogur but from mid-May to the end of August every year she dwells here. Elísabet and her husband, Skúli Ingvarsson, bought Lindarbakki in 1979. The deed of sale describes the house as follows: Linderbakki is very old, built of turf, stones, wood and cement and is in many ways not a fashionable property. 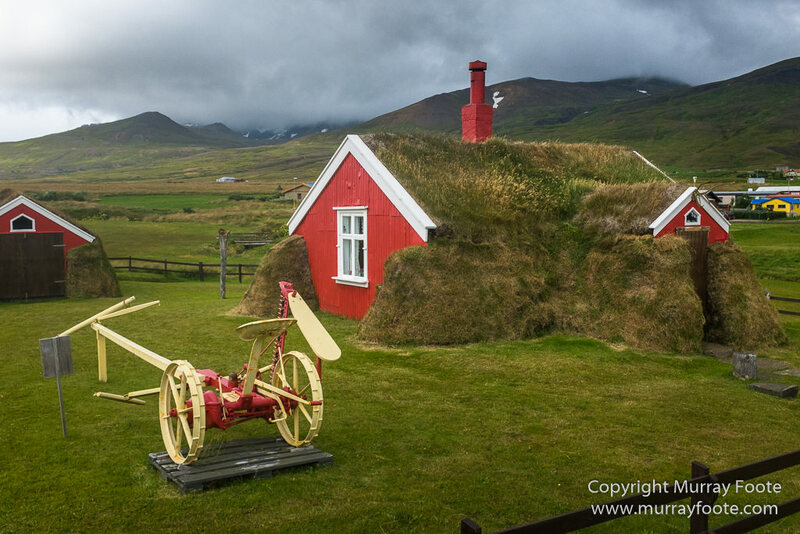 Elísabet and Skúli put a lot of work in renovating the house and erected a little shed in the same style as the house on the site. The shed now houses a collection of artefacts and old equipment which Elísabet and Skúli have collected through the years. 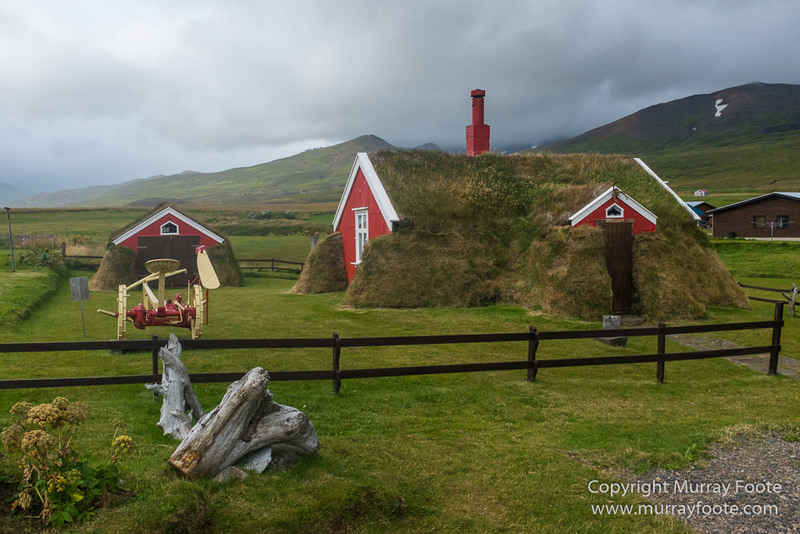 Skúli died in 1987 and since then Elísabet has seen to the upkeep of the house with other helping hands. Lindarbakki is heated by an old black oil heater, still in its original state, nothing like I have ever seen, mind you I’m used to modern technology like from companies like Smartly Heated. The house is about 30m², including the hall/ lobby. There is one bedroom in the house, a kitchen as well as a bathroom. The cellar is beneath the house which contains a well. The cellar is the oldest part of the present house dated 1899. The woodwork in the house is mainly from 1934. 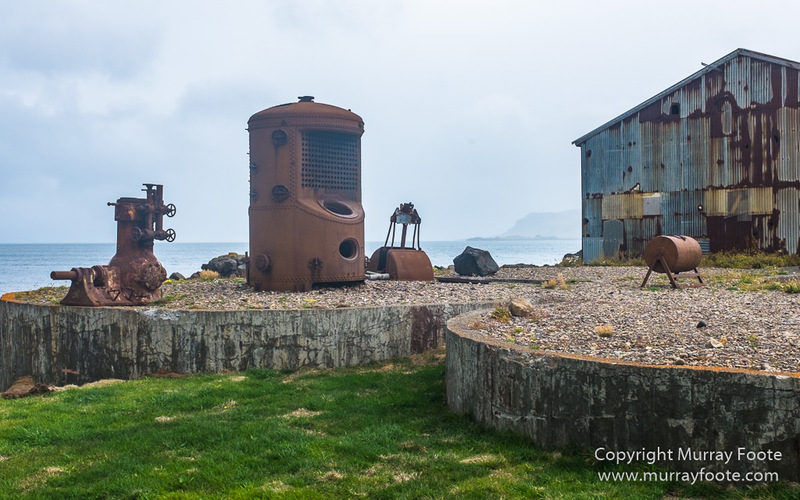 The town also boasts a small sculpture garden of industrial artifacts. 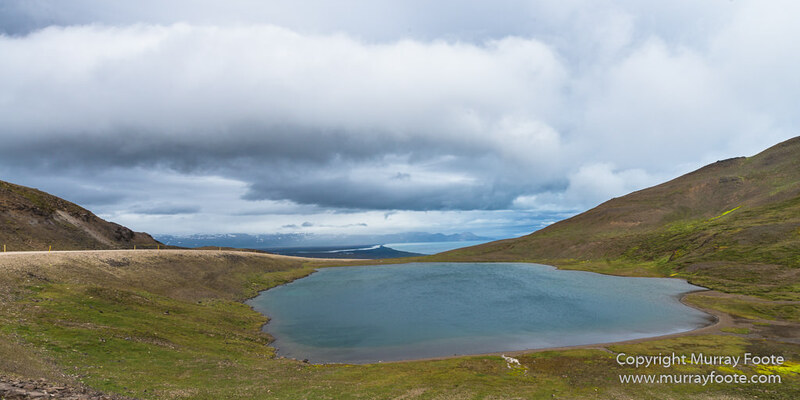 Heading now back towards Egilsstaðir and Seyðisfjörður, this is the pool at the top of the ridge that I photographed in the gloom of the previous evening. 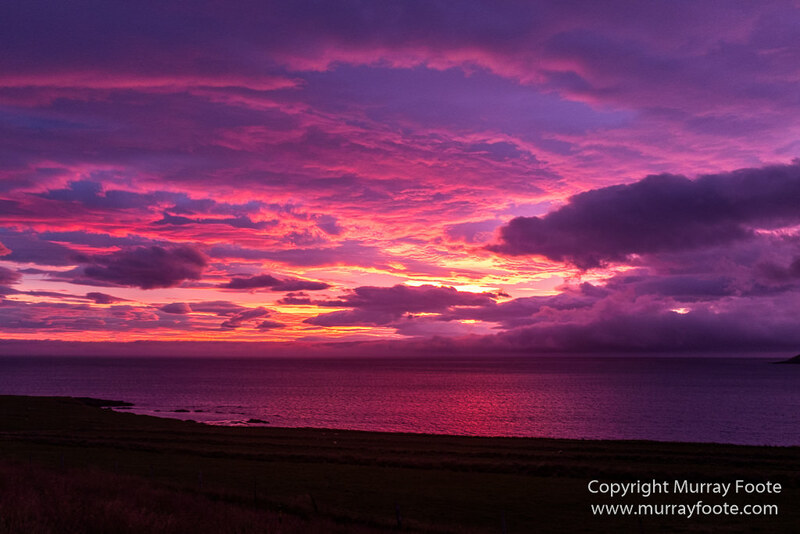 This image and the following three are in the nearby plain of Héradsflói. This is a curious hut by the side of the road complete with a picnic table. The sign at the top says “Coke-Sjalf Salt”, the sign on the door says “Opid/ Open” and it is unlocked. I did go inside but I don’t think there was anything there. Perhaps it is manned at some times of the year or perhaps there is sometimes an honesty system or perhaps it is just a relic of the past. I am not sure of its purpose. Perhaps an historic depot for locals of coke (coal) for fires and salt for preserving fish, periodically updated from Egilsstaðir ? 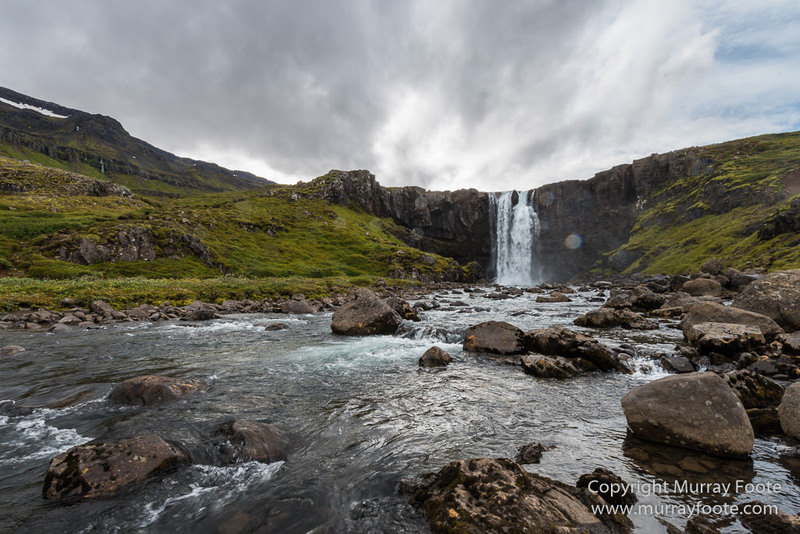 I stopped in Egilsstaðir for a while to replace the tyre on the spare wheel and the proceeded to this waterfall, Gufufoss, not far from Egilsstaðir on the road to Seyðisfjörður. It is raining and there are water droplets on the lens. Next I originally intended to continue on to Seyðisfjörður. 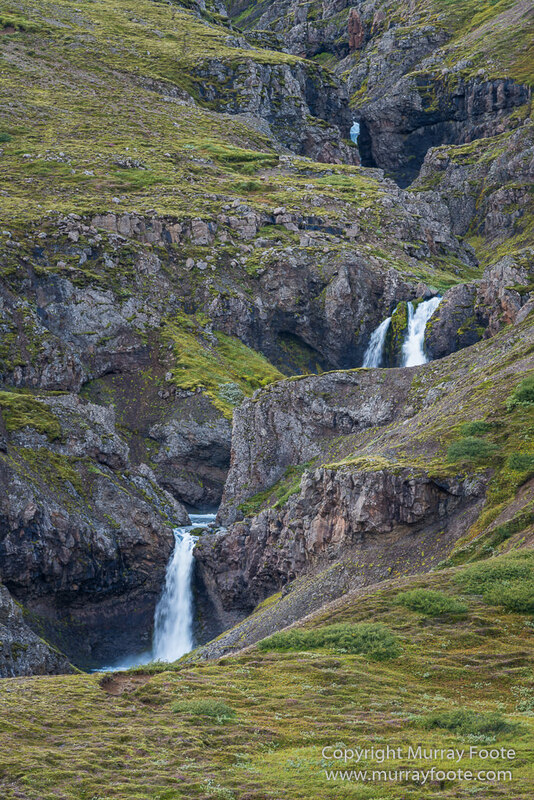 However, I was running out of time so I turned back at the waterfall and continued on to Reyðarfjörður. 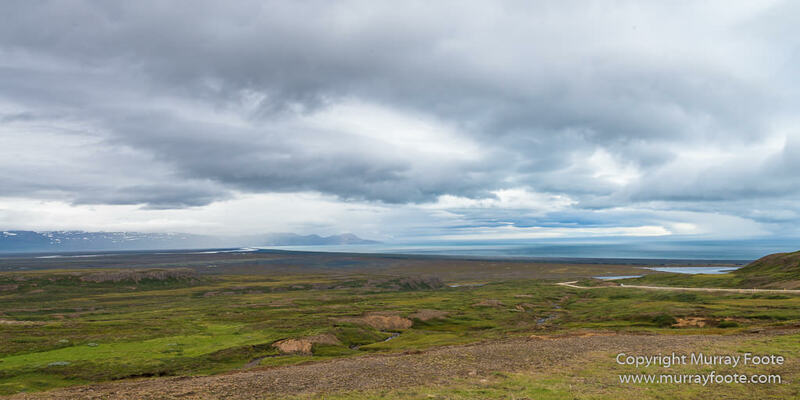 Seyðisfjörður however is a site of very early if sparse settlement. The foundations of a burnt church have been dated to the tenth century and some exhumed graves to the eighth. In the latter case, they must be Irish monks. 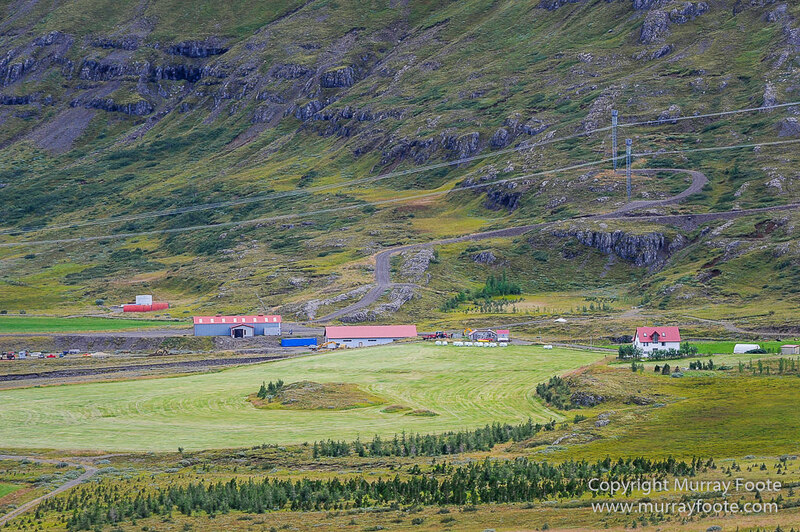 This is a small farm just before Reyðarfjörður. I don’t know the name of these cascades but they are quite close to the farm in the previous image, perhaps on the other side of the road. Fjardaál aluminium smelter in Reyðarfjörður. Fjords Eskifjörður on the left; Reyðarfjörður on the right. 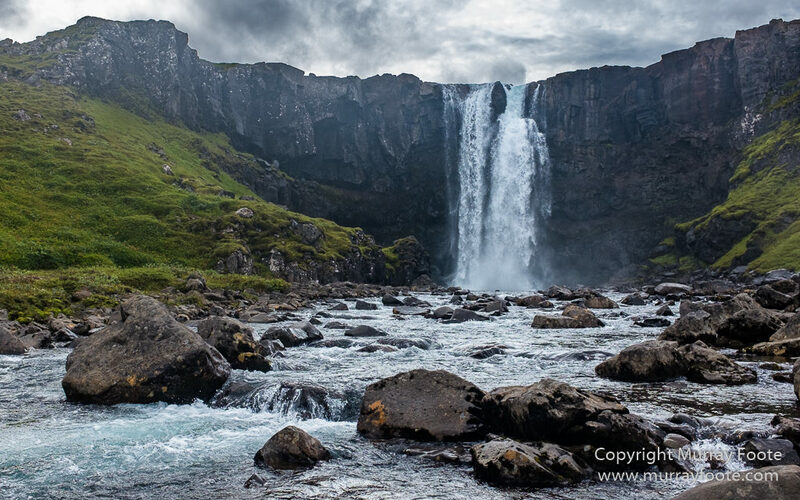 This entry was posted in Iceland and tagged Bakkagerði, Borgarfjörður Eystri, Gufufoss, Iceland, Landscape, Lindarbakki, Nature, Photography, Seyðisfjörður, Travel, Waterfall, Wilderness. Fantastic series. Looks like the weather conditions were even more variable than when I was there in September. I never saw anything like your sunrise. Being variable can be good sometimes, you just have to be around at the right moments. Actually, following on from your comment, it occurs to me that when we’re somewhere and the weather assists us, we tend to assume it’s just like that all the time – but when it doesn’t seem favourable we bemoan our bad luck. 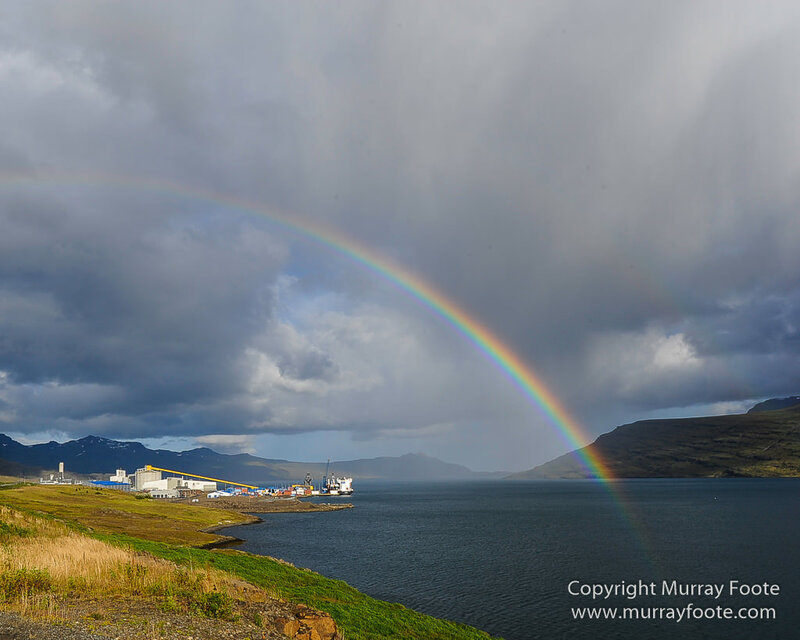 On the other hand, bad weather can often produce great photographic opportunities.